Lots of people came to see us in California this year! Andy had to come out for research at Moffett field in San Jose. We took him out for Pho and Sushi and some minigolfing. Also we played a lot of Eucre, which thrilled Chrissie. She can play Eucre for hours! 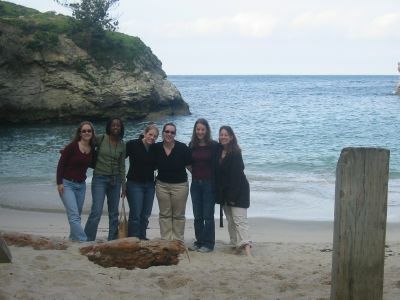 In February the first Annual Girl’s Weekend was held in California, so Abbey, Alisha, Mary, Jessie and Jennie became our first out of town visitors in our new apartment. A few weeks later Chris Wendt came and stayed with us. 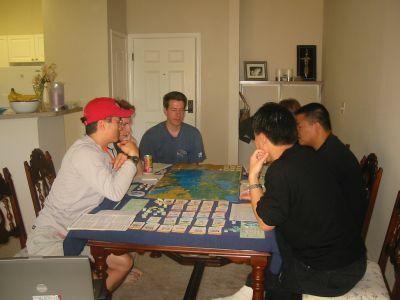 He and Eric planned an Advanced Civilization game. We also played a good game of high level dnd. In the summer, Chrissie’s dad came for a visit. 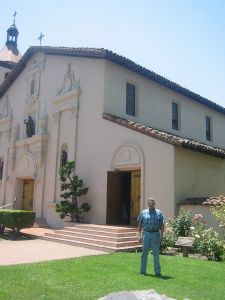 Eric took him to the Santa Clara mission. He gave Chrissie Murder She Wrote on dvd and they spent several days enjoying Jessica Fletcher and playing Upwords and rummikub. There may also have been pie. Rosario also came to visit! She was only in town for an afternoon before her flight back but it was wonderful to see her and get to talk and show her the apartment. She said she’d talk Chrissie’s mom into driving out for a visit with her. 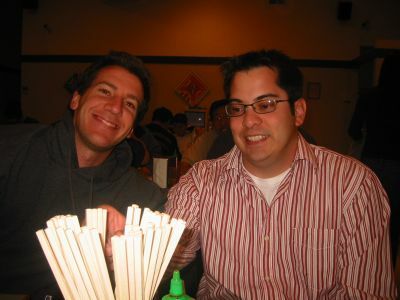 Pho is Eric’s favorite food =) Andy liked it too! Chris Wendt’s visit gave Eric the perfect excuse to play Advanced Civ! New Years: Again after spending a wonderful Christmas in Tulsa, we wandered down to Norman where Gavin and Jennie hosted a big New Years party with many APO’ers. They gave us Don’t Be a Dork, a board game which actually requires you to be a dork to win. 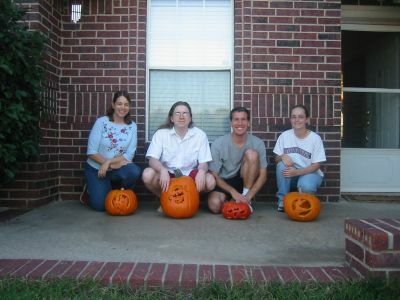 We were in Oklahoma for Halloween because of Mike and Kelly’s wedding reception. After the festivities up in Tulsa we headed down to Norman where we stayed with Gavin and Jennie. We all got pumpkins and carved intricate designs in them. These are the hardest designs Chrissie ever did. Normally she goes the triangle eyes, nose, and a big grin route.